The Colossus of Rhodey: "Horrible person"
In other news, @megynkelly still a horrible person. Good gad, what exactly did Ms. Kelly do to merit such a denunciation? Well, she committed the most evil thing someone could do in the eyes of a radical "progressive": She dared to challenge said radical "progressive" dogma. In a segment on her show last week, Kelly addressed an essay by a black woman, Aisha Harris, who "was upset about the commercial depiction of Santa Claus as white." Ms. Harris had written "Fat old white man who is, quote,melanin deficient, made her feel ashamed as a child." Harris opined that perhaps Santa should be replaced by "Santa Penguin" (or "Penguin Santa," or whatever). 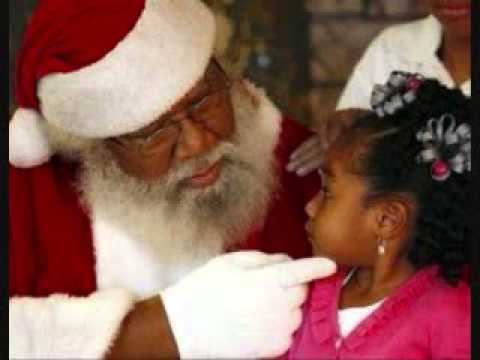 In her response, Kelly basically stated that, "Sorry, but Santa is a white guy." Uh oh. The mainstream media, and other self-righteous keepers of the PC flame like Simone pounced. It wasn't Harris whose comments were portrayed as ridiculous, but Kelly's. She was "insensitive." "Uninclusive." And, of course, "racist." For pointing out that Santa Claus is a white guy. Now, for the irrepressible dolts like Simone, the pundits at MSNBC, the Daily Kos, et. al. the fact of the matter is that Claus was indeed a Caucasian. How is Kelly pointing that out -- in response to a racialist complaining about a "fat white guy" who's "melanin deficient" -- racist and intolerant? Or, as Simone tweeted, "evil?" Has anyone in the MSM questioned the insensitivity of Ms. Harris' remarks? Not that I've seen. Let's understand this: Kelly wasn't demanding that people of other races shouldn't play the role of Santa, nor that such depictions of him be chided. She was just addressing the typical racialist "progressive" PC nonsense that is spewed forth from the bowels of sites like Salon.com. After all, imagine if a white columnist had written that a semi-mythical black individual was a "fat old black man who is, quote, melanin over-abundant, made her feel ashamed as a child"? PC flame. But that wasn't the point, and you know it. My MOVEMENT editors are the best. So creative and awesome and supportive! Megyn is correct and she didn't say anything that was worthy of scorn. The fact that Santa is white stems from his origins as the European figure Sinterklaas and also Father Christmas. Simone is just jealous that Megyn is a much more intelligent and beautiful woman than she'll EVER be. I blame those Catholics! They should have known better than to make Nicholas, a white guy, a saint! Speaking of, how is "the movement" and "the green team" doing? Not sure, Nate. Probably not very well. The only people who buy either comic are Simone's idiotic fanboys.